Bench:Made is back for another Holiday artisan market! We are currently accepting applications for this years Holiday Market. If you are a talented maker apply here. Saturday, Novemeber 18th from 10am - 4pm. MADE is taking place in an beautiful, natural light-filled warehouse to the east of Midco Supply, which is the building just south of Bench on 11th Street. 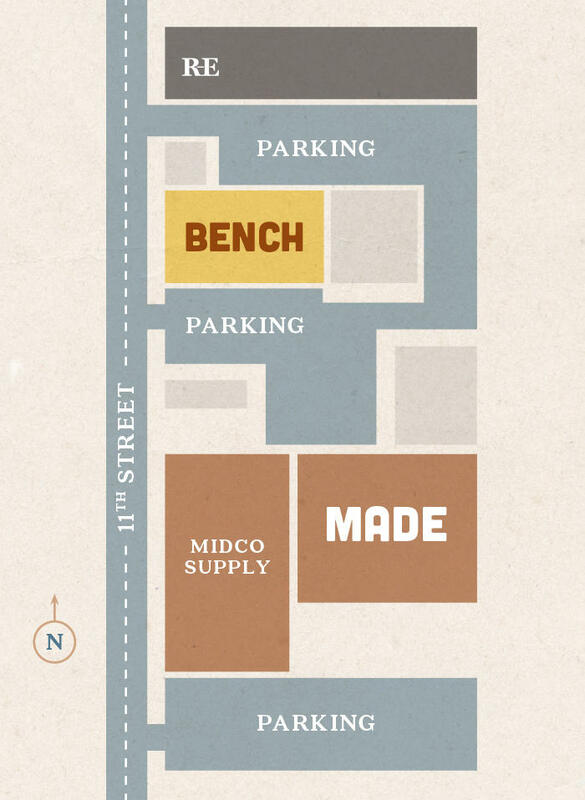 You can park in the Midco Parking lot or in Bench's parking lot (north and south side of building). Please be courteous when parking and leave room for cars to come and go. We are currently accepting applications to be a vendor at the fall 2016 edition of MADE. Interested in sponsoring Bench:MADE? Get in touch! Share the details. You wouldn't want anyone to miss this, would you?